Step 1 - What Kind of Daycare Would Work For your Child? Knowing what makes your child happy in the right daycare setting is what matters the most. If your child enjoys free play and thrives in this kind of setting, it would be unfair to put them in a “boot camp daycare”. If your child is a structured and organized choosing an “all play environment” will make learning and settling very difficult for your child. Nobody knows your child like you do - help find the right balance for them. It will make you a nicer person when they are happy!! The bottom line here is who is the customer? While many daycare or childcare facilities seek primarily to please the parents, those who ignore the children will always loose out in the long run. Why, because where a child is not satisfied, the parent is the first to know. On the other hand, this should make you as the parent aware that the childcare facility or daycare will pull all the stops to ensure that you are impressed. Your role, however, becomes the pay attention to the customers that they already have. Are the children’s hands and faces clean? Do you smell stale diapers? Are the teachers paying attention to the children - do they look them in the eye? What tone of voice do the teachers speak with? My four year old, for example, has an outgoing personality - so outgoing that I have to pull her away from giving hugs to complete strangers at the mall. To her, every female senior citizen is yet another ‘grandma’. Well, we decided to enroll her at an excellent Montessori pre-school and it was a disaster! The freedom that is encouraged in the Montessori setting was seen as a license to socialize. When asked to choose an activity, she would try to help all the younger children in the class first. The result: all the work that she managed to bring home seemed to be incomplete. As an educator, I knew that something was not right, especially when I knew that she would complete the same types of activities at home for me with no problem. After having been there seven months, we decided to move her to a more traditional school setting. Presto! After the settling down period, she settled in close to the top of her class. The Montessori setting did not enhance her particular learning style. How does your child learn? What type of personality does your child have? Will the childcare facility or daycare of your choice be the perfect match for your child? I had to think this through carefully because the pre-school setting plays a large part in building the educational foundation for the child. Click on this link to read my article called ‘How is Your Child Smart’? There is a fine balance to strike between the needs of your child and what is practical, but this is where I do my best to strike that balance. As a parent you have practical needs that must be met; for example the daycare facility must be located somewhere that is either close to home or work. Does it have a drive up facility that will cover your vehicle if it is raining? Do the staff get the children out of our vehicle (often known as the kiss and ride service)? The first thing I’d encourage you to do is think of what the ideal daycare setting would be for your child. If money was no object and distance and time of no concern; what kind of daycare or childcare facility would you want your child to benefit from? Yes, it’s ok to dream! Take these thoughts and write them down. Add them to the checklist that I have created and take this to every facility that you go visit. When you have completed the tout of the building, make notes on how the facility meets your requirements. At this point, do not allow your budget to limit you. With economic times like these, you will be surprised at how flexible directors can be. Remember, you are the customer and they want your business. Does the daycare or childcare facility have opening and closing hours that suite your job? Is it close enough to your home or work? Does it give you enough time to get to the next point on your journey? When you look at the menu (it should be displayed by the entrance), does the food sound like food that your child will eat? Can you bring your own food? When is the last meal served? Will your child be coming home on a full or empty stomach? Are you (physically and financially) capable of cooking or purchasing fast food every night to feed your child? How much are the fees? What about the registration, activity and book fees? Are you expected to buy supplies too? Is lunch provided or is there a fee for the lunch that is provided? Find out about late fees. How much does it cost if you are fifteen minutes late picking up your child? If you know that there is a possibility that you might be late, can you afford to pay this amount? Ask the director if there are any “special offers” or introductory rates. If you have a skill that might benefit the facility, offer to exchange your skill for a regular discount. Small business owners are always looking for somewhere to save money. Believe me, I’ve been there! This is probably the most important indicator that this is the right place for your child. Take your child with you when you are doing the tours. Watch his or her reaction to the teachers, the facility and the children. If they can speak, ask them what they think of it, if they want to come back tomorrow. Ask yourself these questions. Would you feel at ease leaving your child there every morning? Do you think that if you left your child there, there would be a nagging feeling deep down that something could be wrong? Do you think that your child would be happy with your choice? The facility might look perfect on the outside, but take the time to listen to and trust you gut feelings. Every child needs a time to play and "All Kids Games" is a great site for anyone looking for game ideas. In addition to fun toddler games, they also have games for kids of all ages and for just about any occasion!" Smell: The most important thing to do as you enter the daycare facility is to smell the air. The smell of diapers, damp or unappetizing food is a tell tale sign that there might be some neglect going on. Sniff as you go past trash cans (they should be covered) and most importantly, look out for smells coming from the children. Sight: Keep your eyes peeled, as the saying goes! Look around the floor and in the corners for dead bugs (or their wings). Take the time to look up. Marks on the ceiling tiles, or water marks inside the light panels could be tell-tale signs of other hygiene issues. Take a peek into the director’s office if you can - but remember that pre-school directors are extremely busy people. Sound: Are the teachers yelling at the children? What kind of tone were they talking with before you walked into the room? Were the children under control, restrained or was there a balance between the two? The sounds of a classroom often depict the atmosphere. An uncontrolled classroom is often a reflection of a teacher who does not know classroom management or a teacher who does not have an engaging lesson plan. There are always exceptions (such as a hyper-active child), but good classroom management should be a priority because structure is said to be beneficial to the child. Taste: If it is around snack or lunch time, feel free to ask if you can taste the food being served to the children. You may come across as being a little weird, but if they are not willing to give you some of the food, you might want to know the reason why. Touch: As you walk through the daycare or childcare facility, run your finger on window ledges and on tables for dust and dirt. Touch the toys is you can - they should be sanitized and left to air dry every evening. Remember, children love to put toys in their mouth. Most directors have been in the business for many years, and know the daycare business through and through. Occasionally, however, you may come across a director who just bought the business but has no experience in the industry. This can sometimes be a challenging combination, so find out as much as you can about your director before you part with that non refundable registration fee. The childcare or daycare building usually speaks for itself. People are usually drawn towards the newer daycare buildings, but we need to look beyond the facility and focus on the level of care that is being provided within the walls of the building. While a neglected building should definitely ring alarm bells, don’t allow a newer building to replace your instincts. Observe as much as you can of the teachers. Do they come across as caring? What tone of voice do they have when things do not work the way they should? Do they pay attention to the children? What kind of qualifications do they have? What does your state define as ‘qualified’? Unfortunately, teaching can be a stressful job and it often results in some staff turnover. If your child’s teacher leaves and is replaced by another teacher this can be upsetting for your child. Try to prepare them by explaining the change to your child in advance. A company that invests in their staff will always reap the returns. Ask about what type of training is offered to the staff. Most states require that all employees have a certain amount of hours in training. If this is up to date, you will see it in the on-line inspection report. Always ask what curriculum is being used. Some of the well known curriculum types include Abeka, Creative, High Scope, Montessori, Reggio Emilia, Theme based, etc. The curriculum must be stimulating enough to keep your child interested. Keep in mind what your child already knows and what you would like them to know at certain milestones. Then assess whether the curriculum in question will meet those needs. Remember different children learn in different ways, so think about what makes your child smart. Most states have these now. It gives you a snapshot of how the facility of your choice stands with the regulatory body. Usually a Childcare Consultant visits the center once or twice a year to assess how well the center is in compliance with the state regulations. These reports are the records of these visits. They outline what the consultant observed while they were at the center. Now, remember that this is usually written in “bureaucratese” but if you take the time to comb through it, it could save you a lot of wasted time. Who is Responsible Childcare Regulations in your State? Everybody has a boss and the daycare or childcare industry is no exception! In fact it is heavily regulated, for obvious reasons - they take care of our most prized possessions - our children! Each state has a regulatory body that oversees this role and they are often linked with the Department of Human Resources. Click on the link below to see who regulates the childcare industry in your state. What Are the Governing Body’s Expectations for Your Child? 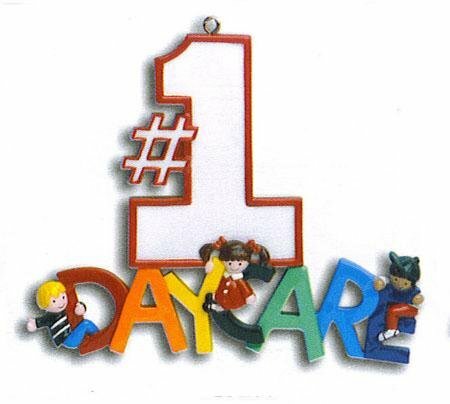 Many states have developed ‘Standards of Care’ (or the equivalent) that daycare facilities are expected to meet. These documents outline the levels of care that can be provided. I have found in my research that you can usually bank on this - the higher the level of care, the higher the price. In other words, much of the time, you get what you pay for. Ratios vary from one state to another, so click on the link below to find out the staff to student ratios in your state. Your child’s class should always be within the state ratios - that’s the number one rule in childcare. If you find a NAYCE (National Association for the Education of Young Children) accredited center, know that they are always below the ratio, as their standards are higher than that of the state. Understandably so, NAYCE accredited daycares or pre-schools usually have slightly higher prices to pay for the extra staffing costs. Ever Dreamed of Starting Your Own Daycare? Now You Can!